Bluetooth Music Streaming: Play music wirelessly from your phone on your A/V receiver, home stereo system or speaker with this Bluetooth audio receiver. High-quality audio streaming from your phone or other Bluetooth device in CD-quality sound through your speaker. Freedom to move freely in your house as you listen - conveniently control and stream music from up to 66 feet/20 meters away. Easy to install - simply plug it into your stereo, then connect to your device with just one press of a button. If your phone has NFC, just tap it to the HomeSpot audio receiver to make an instant connection. 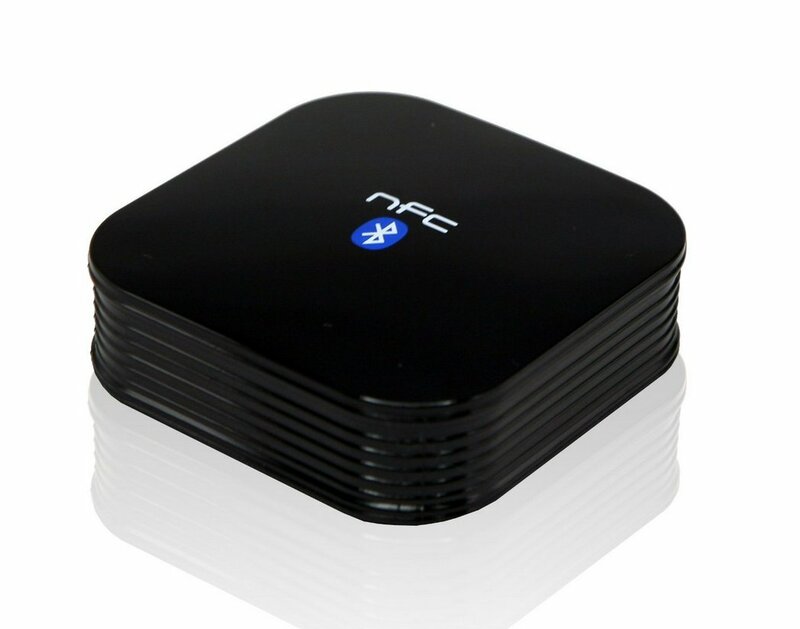 For Bluetooth phones or computers without NFC, the pairing process is the same as if connecting to other regular Bluetooth audio receivers and speakers. NFC Compatibility: NFC Bluetooth pairing function has been tested (or reported by users as working) with these phones:Google Nexus 4, Nexus 7, LG Optimus G, G Pro, 4X HD, Samsung Galaxy S4 SV, Galaxy S3 SIII*, Galaxy Nexus*, Galaxy Note II, S3 mini, Galaxy Victory 4G LTE, HTC One, OneX/XL/SV*, HTC First Facebook Home, HTC EVO 4G LTE, HTC Windows Phone 8X, Nokia Lumia 920 Windows Phone 8, Nokia Lumia 820, Nokia Lumia 822, Nokia Lumia 810, Nokia 301/700/701/720/610 NFC, Sony Experia S, Experia P, Experia Ion, Xperia TX (ST29i), Experia V, Motorola Droid Razr M, Droid DNA. *Installation of Tap-and-Pair App (or any other NFC Bluetooth pairing handover app compliant to NFC Forum Specifications) is required for Android OS version 4.0.x, despite NFC hardware support by the phone. Tap-and-Pair app can be downloaded free of charge from Google Play Store. Phones that have been upgraded to 4.1/4.2 (Jelly Bean) do not require app installation for NFC Bluetooth pairing.